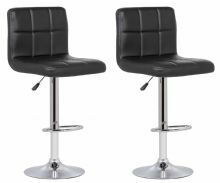 The Sienna bar stool by Your Price Furniture provides the ultimate in comfort and style. 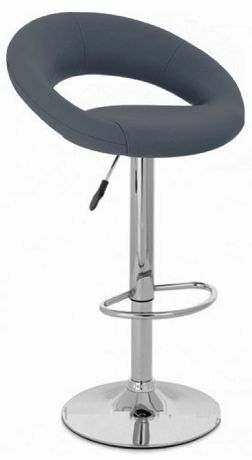 This ever popular bar stool is finished in sumptuous grey faux leather with a padded back and seat for additional comfort. 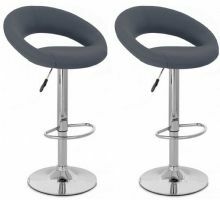 The stool is height adjustable thanks to its high quality gas lift mechanism and it also swivels a full 360 degrees. The final touch is the addition of an ergonomically designed footrest. 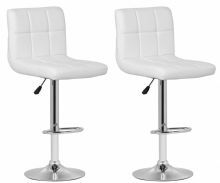 Perfect for using in the kitchen, dining room or at the breakfast bar. Please note that home assembly is required. 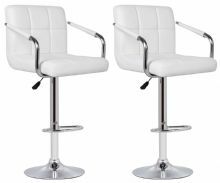 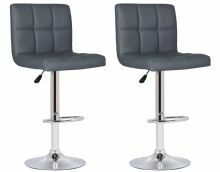 These are domestic bar stools and the maximum user weight is 110Kg.